The magic of the Oviglio Castle is renewed today in the old mansion, equipped with all the modern comforts, in a sophisticated combination of exclusive atmospheres and carefully restored and original environments where the charm of old times remains intact. The castel “Castello di Oviglio” is a hotel of character, where the original ambience and spaces are preserved with great care. The cellars, the halls, the deambulatory and the library, evoke the luxurious atmospheres of the royal era and introduce you to the nine rooms that are the result of a painstaking architectural study carried out with the idea of bringing to life the charm of the Castle history with today’s comfort. 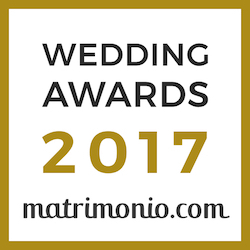 The big park surrounding the historical hotel Castello di Oviglio, dominated by century-old trees, the lower court and the lounges, are the ideal location to celebrate weddings, important receptions and banquets, a perfect green setting for gala evenings and private parties. The Castle has 4 suites, 2 junior suites and 3 double rooms and they are all named after the artists who have honoured the area with their art and lives. All the rooms have a safe, satellite TV with SKY channels and pay TV. At the restaurant of the “Castello di Oviglio” hotel the cuisine celebrates the gastronomic tradition of Piedmont, proposing the dishes that have made history in this region. A non-stop and painstaking research and selection of the ingredients make our cuisine natural and sophisticated at the same time. The castle hotel Castello di Oviglio has an excellent selection of Piedmontese wines that are carefully kept in the Castle cellars, where we also hold wine tasting events dedicated to Monferrato local wines.